BRYAN EATON/Staff photo. 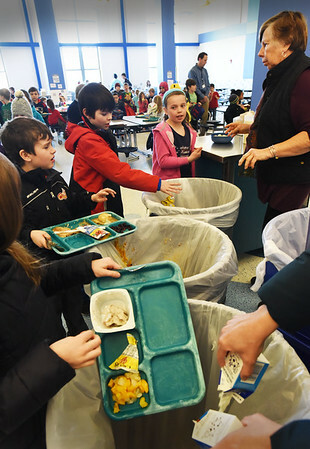 As Bresnahan School students finish lunch, staff and volunteers oversee that items to recycle are seperated from food. Food items that are unopened, like a carton of milk or a fruit cocktail cup are given to food pantries.